The issue: Does the Constitution allow states to segregate schools or other public facilities on the basis of race? Introduction The issue of whether public facilities may be segregated based on race first arose in the context of transportation, not education. 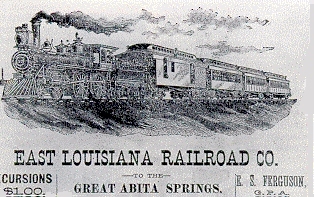 In the 1896 case of Plessy v Ferguson, the Supreme Court concluded that a Louisiana law requiring whites and blacks to ride in separate railroad cars did not violate the Equal Protection Clause. 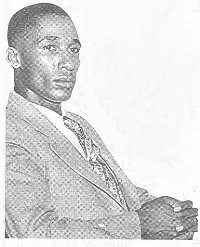 In an opinion that reads as though written by someone from Mars, Justice Brown wrote that the law did not "stamp the colored race with a badge of inferiority" and that any such suggestion is "soley because the colored race chooses to place that construction on it." In a famous and eloquent dissent in Plessy, Justice John Harlan argued, "Our Constitution is color blind, and neither knows nor tolerates classes among its citizens." Beginning in the 1930s, the NAACP--under the leadership of African-American attorney Charles Hamilton Houston-- began its assault on the "separate but equal" doctrine announced in Plessy. Houston chose to concentrate his efforts on segregation in public education, where he thought the adverse effects of the enforced racial separation could be most easily demonstrated. In 1938, Houston persuaded the Supreme Court that Missouri's refusal to provide legal education for blacks within its own borders (Missouri sent its qualified black law students to neighboring states' schools, paying the tuition) denied blacks the equal protection of the laws. In subsequent victories in the Court, the NAACP gave teeth to the "equal" part of separate but equal: states would have to ensure that separate educational programs were truly equal in terms of resources, reputation, and other measures. 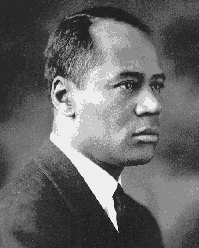 Charles Hamilton Houston, the African-American attorney who led the NAACP's attack on racially segregated education. 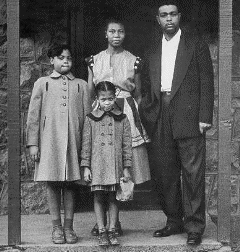 In 1954, the Supreme Court decided the landmark case of Brown v. Board of Education of Topeka. "Racially segregated schools," the Court concluded, are "inherently unequal." The Court found support for its decision in studies that indicated that minority students learn better in racially mixed classrooms. The next year, in Brown II, the Court announced a decision outlining its plan for implementing racial desegregation in the schools. The Court took a cautious approach, remanding the cases to district courts with orders to integrate the schools "with all deliberate speed." As it turned out, there was a lot more deliberation than speed, and a decade after the Brown decision, only a small percentage of black children in the Deep South attended schools with white children. Opposition to Brown was intense in some places. Governors stood in schoolhouse doors and angry whites terrorized blacks. In some places, such as at Little Rock's Central High, integration was only achieved after a powerful show of force by federal troops. In one of the school districts involved in the 1954 school desegregation cases, Prince Edward, Virginia, county officials decided to close public schools altogether rather than integrate. Tuition benefits were provided to children to attend private schools, but the only private schools operating in the county had white-only admission policies. In 1964, an impatient Supreme Court found Prince Edward's closing of the public schools to violate equal protection, and indicated that federal courts were empowered to order the opening of schools and to order the raising of taxes to pay for them, if necessary. "The time for mere deliberate speed has run out," the Court said. 1. Was it the intention of the framers and ratifiers of the Fourteenth Amendment to end racial segregation in public facilities? 2. Why do you think states such as Louisiana adopted the "one drop rule," classifying persons with as little as one-eighth African-American ancestry as black? 3. Why do you think many of the early challenges to segregated education were directed against segregation in law schools and other graduate programs? 4. Did Brown specifically overrule Plessy? 5. Given the basis for the Brown decision, what made segregation of other types of public facilities, such as beaches or golf clubs, unconstituional? 6. Should the Court have ordered the immediate integration of public schools in 1954, rather than requiring integration "with all deliberate speed."? (There turned out to be a lot more deliberation than speed). What would have been the likely result of an immediate and massive integration of the public schools? Would it have been any worse than the problems associated with the long, slow march toward integrated schools? 7. Should federal judges have the power to order state official to open schools? To raise taxes to pay for schools and teachers? 8. What does Mississippi University suggest about the constitutionality of a female-only engineering school or a male-only nursing school? 9. Does the test used by the Court in the VMI case come closer to intermediate scrutiny or strict scrutiny? 10. Could Virginia have created a female-only military school that would have satisfied the Court's demand for gender equality? 11. Should gender separateness ever be tolerated in public education? What, if any, benefit might gender-specific programs have? Linda Brown of Topeka (left), with her parents, Leola and Oliver, and younger sister Terry.